Successfully Added Flash USB Strawberry 8GB - Food Shaped USB Storage to your Shopping Cart. 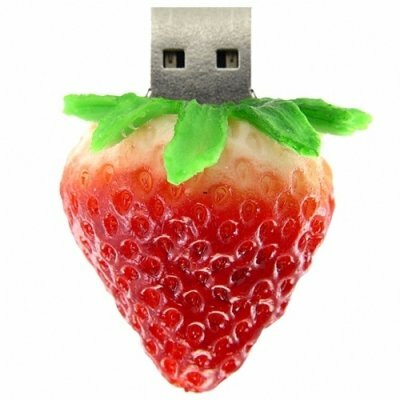 USB memory stick with a huge 8GB flash storage in a realistic strawberry shape. If you are looking for a novelty USB memory stick that is sure to turn heads, this pint sized strawberry flash USB is the one you have been looking for. Get all the same functions and memory that you would get from "normal" USB pen drives at a premium wholesale price, sure to please you and your customers, and draw tons of attention to your own eBay or online store. The Flash USB Strawberry 8GB - Food Shaped USB Storage, as seen here first on Chinavasion! To economize on shipping costs we recommend ordering this item in a quantity of at least 4 pieces.